After learning to sew, at my mother’s knee, and playing my favourite game of sorting out my grandmother’s button tin my passion to create and sew grew. From then on I was always making and creating, sewing clothes for my dolls, and then progressing to making clothes for myself, something I still love to do today. I went on to studio fashion and textiles after leaving school. A 20 year career then followed within the fashion industry, from Design assistant to becoming Sales and Design Director within a large, family run company. My love for interiors grew, and I knew that I needed to start my own business and create my own designs in order to satisfy my creative mind. With the support of my little family, Elm Tree Studio was born. These days I love nothing more than tending to my garden and vegetable patch and talking to my chickens before walking up to my attic studio to start a day full of creating and sewing - all fuelled by lots of strong tea, real coffee and lots of chocolate digestives! I love to create modern country style textiles with a relaxed feel, inspired by simple Scandinavian elements combined with soft colours, simple patterns and traditional techniques. A passion for natural fabrics, such as linen with all its natural textures, inspires my relaxed and simple designs. I stitch a soft denim appliquéd and embroidered heart on each piece, to show it’s an Elm Tree Studio Original. 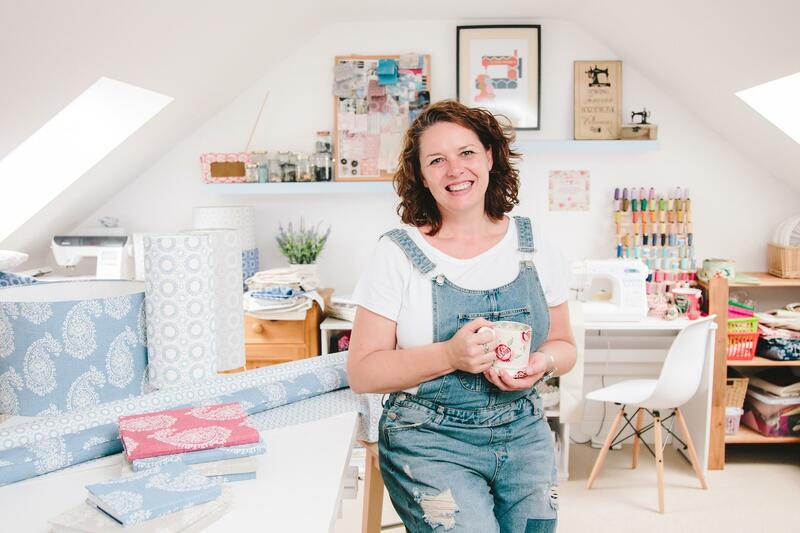 My simple pieces are packed with style, and range from personalised gifts to soft, squidgy cushions that look perfectly at home in a countryside retreat or a more contemporary family home, adding comfort and style. I use refined colours, natural, un-dyed linens, re-purposed denim and soft berry red ticking stripes to add a calm and tranquil feel to a room, whilst natural materials such as the Yorkshire lavender and wheat used in my Lavender pillows and heat bags, really add an extra layer of relaxation and comfort. My pieces are designed to be used, not just looked at. So whether you’re looking for a gorgeous gift, or something sumptuous for your own home, pop the kettle on, sit down and have a look around the site. You can also follow me on Facebook, twitter and Instagram to see products being made and the stories behind the scenes.